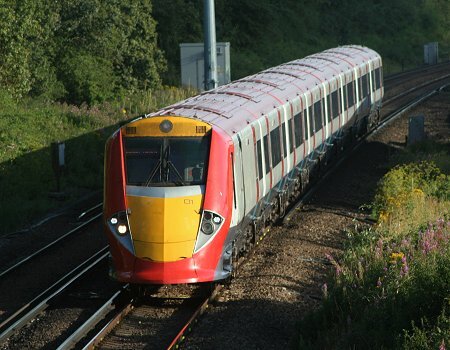 Following the end of their lease retained two class 460 units for weekend, and occasionally weekday, maintenance cover on a pay-by-mile basis. The units being 460001 and 460002. 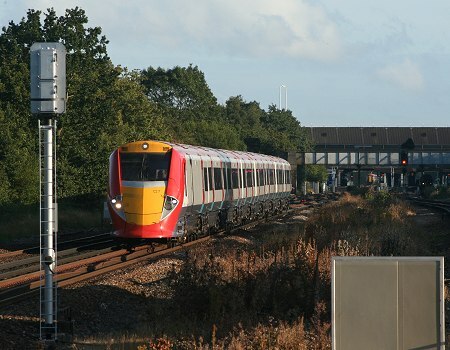 To provide more 10 car class 442 workings during the Olympics 460007 was also reactivated with all three in service at some time during the day. 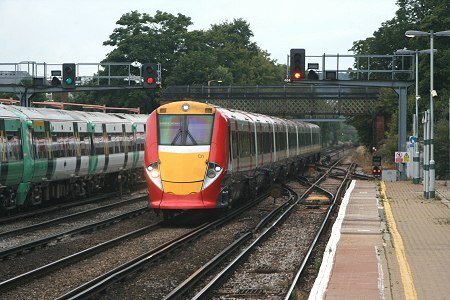 460001 passing Salfords with the 18:35 Gatwick Airport to Victoria service on 3rd August. On the same evening 460007 has just passed Horley with the 19:05 Victoria to Gatwick Airport service. 460001 again, this time working the 07:30 Victoria to Gatwick Airport through Redhill on 7th August. This is one of the few Gawtick Express workings which is not timetabled for the Quarry Line.